--What is your level of success in sales? Are you good at it? Do you enjoy it? Would doing business development sales 10 hours a day be torture for you, or would you enjoy being out in the community telling customers about great value your company’s product or service offers? --How are your people-management skills? How do you feel about managing employees? Do you want any at all? Could you comfortably manage a small staff—or a large one? Do you want to be able to hire a manager to do that for you? Are you a strong communicator and a capable motivator? Is important to you to make a difference in your employees’ personal and professional grow while being part of your business? --What kind of business acumen do you bring to the table? Do you have experience with and a knack for running multi-faceted business units? Are you a marketing whiz looking for a new challenge? Are you able to read a financial statement and understand it? Numbers are the language of business, and you’ll have an important skill going in if you’re already good at interpreting them. --What’s your comfort level with changing technology? Some terrific franchise opportunities come bundled with state of the art tech systems (and excellent training in how to use them). If you don’t have a natural aptitude for that kind of thing, are you trainable and willing to learn? --What kinds of personal and professional contacts and connections can you leverage to help build your business? Are you well-connected in your community and/or in the industry you are considering? --Do you have a particular skill that might lend itself to a franchise of interest? For example, are you a certified teacher looking to open a tutoring center? If so, wonderful—but do you also have experience and skills compatible with running the business end of the franchise? Remember that whatever your personal and professional defining characteristics, the right business model with a successful franchisor may be able to help leverage your skills and compensate for your weaknesses. 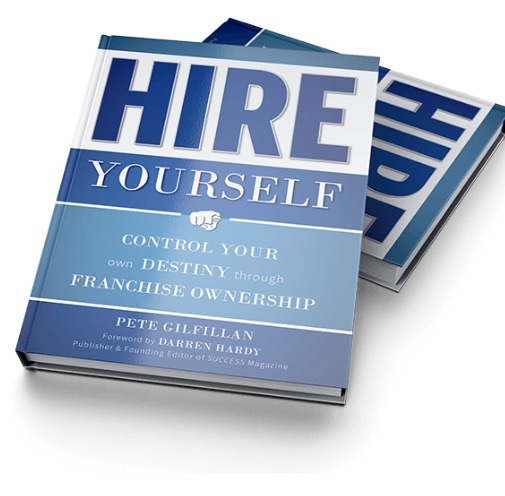 Franchise systems are designed to help each investor succeed. The key is to clearly identify the areas where you’re likely to shine, and to flag those where you know you’re going to need extra support. Ready to HIRE YOURSELF? I’ve created a free franchise quiz you can use to assess your skills and strengths. Follow this link to get started.